Your role is to ensure the family settles into life with their new-born and offer guidance and encouragement throughout. This may also include helping parents integrate the new-born with other children in the family. The role of a Maternity Nurse is growing evermore popular with parents looking for support and guidance following the birth of a new-borns. This course equips you with all the necessary techniques and knowledge to feel confident when working as a Maternity Nurse. You will learn how to approach parents in a professional and considerate way and how to effectively communicate the best methods available to them based on their individual needs. Our Maternity Nurse training is the most informative course in the industry and provides learners with an outstanding support & mentoring package. FOR A FULL BREAKDOWN PLEASE SEE COURSE CONTENT BELOW. This course is ideal for anyone who wants to become a private, non-medical Maternity Nurses, those who would like to further their skills when looking after new-borns and those who are already experienced and would like to receive a qualification to get more recognition in their profession. Upon booking can decide which level of accreditation you would like to take, either level 3 or level 4. This will determine what assessments you complete following your weekend of training. As a Level 3 Maternity Nurse you will have covered all the areas required to understand the role and work professionally. To earn an OCN level 3 accreditation, you will be required to complete 8 assignments based on what you have learnt. As a Level 4 Maternity Nurse you have demonstrated a higher level of understanding and knowledge associated with the role. To earn an OCN level 4 accreditation, you will be required to complete 15 assignments based on what you have learnt. At the end of the course you will complete several assignments to demonstrate what you have learnt. You will have the choice to go for level 3 or level 4 accreditation which will determine how many assignments you will need to complete. As part of our Maternity Nurse course, we offer a 5-7 week mentoring program that includes weekly scheduled webinars with our expert trainers. During these live webinars, the trainer will go through the requirements of each assignment and answer any questions you may have. If you are unable to attend the live webinars we can send you a recording to catch up on in your own time. The trainer is also there to support and mentor you throughout this time. You can choose to complete the assessments in your own time within 6 weeks if preferred. Your assessment will be marked by the trainer who will contact you about your results. 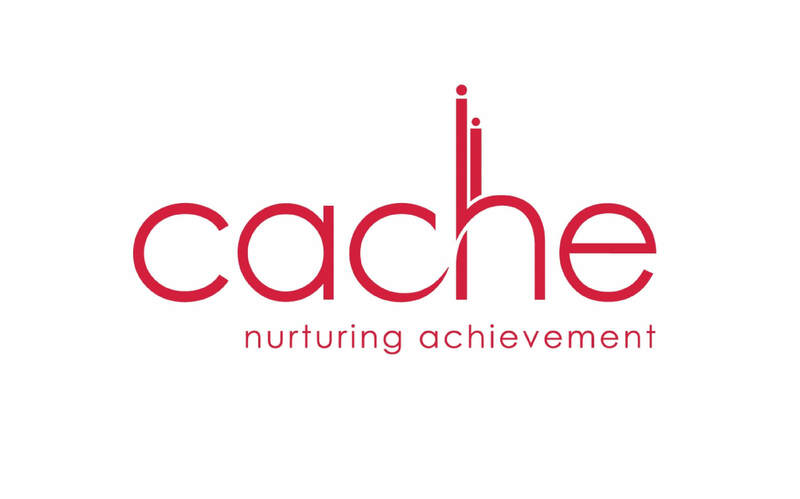 If you successfully pass your assessments, you will receive a certificate from London School of Childcare Studies showing the grade you have achieved along with a certificate from OCN Awarding body. Extensions: In a situation where you are unable to complete our assessment within the time frame give, you can put in a request for a time extension, but this must be accompanied by a valid reason for the extension. Previous experience working with babies is essential to completing this course. You are required to have a good level of English to understand the course trainer and complete the assignments. Prior to your practical weekend at our training center, we will send you some pre-course learning video-lessons from our expert trainer. During these lessons, you will learn the underlying principles towards your level 3 & 4 Maternity Nurse certificate. Your pre-course learning videos will be sent to you upon booking your course, so you can start learning straight away! You must go through this learning before your weekend to make sure you are at the same level of understanding as the rest of the class. You will also be invited to join our exclusive Facebook group where you can gain further support from past and current learners as well as our expert trainers. Following the completion of your pre-course learning you will attend a weekend at our training centre. This weekend will be a mixture of group activities and discussions, to further cement your knowledge and cover level 3 & 4 in more detail. The weekend at the training centre is a great experience and you will be learning from the very best trainers who are all experienced within the childcare profession. Upon completing this weekend, you will have all the necessary skills and knowledge to complete your assignments to earn your accreditation. Where most training providers will say goodbye at this point, we will continue to support you throughout your assignments through our 5-7 week mentoring & webinar programme, based on the level of course you have booked onto. We are committed to your continued professional development and as part of this course we offer additional CPD courses to help further your career. As part of this course you will receive an online Employability course for FREE. This will give more insight on how to prepare for work within childcare the industry. As part of this course you will have the option to take part in our Work Experience programme where we can organise paid & unpaid placements. This will provide you with a valuable opportunity to use your new skills and knowledge and build your confidence. Upon successful completion of your Work Experience you will be awarded with a reference from the family which can be used to promote yourself to new clients. Support will also be available for you if you wish to receive any help with drafting and updating your CV. Visit our Work Experience page to find more information about our programme. Once you have completed you weekend training we will then move onto our weekly mentoring sessions via webinar. We use a platform called Zoom which allows you to connect with the trainer and other learners via your laptop, table or mobile devise. The system is very easy to use and only requires one click to join the webinar, so you don’t have to be computer savvy. During the 5-7 weeks you will have an assignments to complete once a week. Each assignment is based on developing skills that will help you build confidence and understand how to put your learning into practice. Each session will be informative, and you will leave having an assignment to complete. 1. Understand the physiology of Breastfeeding and how to support mothers with positioning and recognising breast problems as they may arise and how to deal with these situations. 2. Understand infant illnesses, what to look out for and what steps you should take. 3. How to best promote your services. 4. Weaning and nutritional needs of a baby. Example of meal planner suitable for a 7– months old baby. 5. Understand SIDS and how to guide parents on safe sleeping. 6. Understanding the developmental milestones of 0 – 12 months. 7. Understand how to keep babies active via play and learning. 8. Understand weaning and how-to best guide parents. 1. How to keep professional logs of how you support a family. 2. Understanding how to recognise reflux, signs and symptoms and ways to support families experiencing GER and GERD with their babies. Understand short and long term complications which are associated with reflux. 3. Building a deeper knowledge of infant attachment theories and what these mean in practice. 4. Explore the impact prematurity and LBW can have on child development. As part of this course we offer scheduled 121 mentoring phone calls with our expert trainer following your weekend course. These calls give you an opportunity to speak directly to the trainer who can answer any questions you may have and help guide you into your professional career.